Recently, I worked with a student who was struggling with a hook. For those who aren't aware, a hook occurs when the relationship between club path and club face becomes negative. This means that for a right handed golfer the club path is right of the target line (in to out) while the club face angle is left relative to the path. A hook isn't as common in amateurs as a slice, but it can be just as damaging to the scorecard. 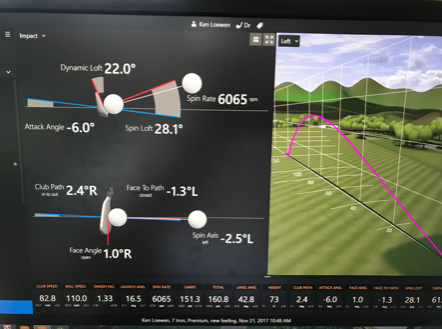 While my client came to me looking to improve his ball flight, I wanted to detail in this article how we solved his issue by improving his movement. Let's start by looking at the data of his old swing. Notice the -5.5 face to path. That is a recipe for a hook. Basically, his path would get "in to out" and he'd try to flip the club to save it. Identifying this issue isn't hard, nor is it satifying to a golfer. Clients don't come to us to learn what they're doing, they come to learn WHY they're doing it. Overactive hands might seem like an issue related to technique, but the root cause was related to a physical deficiency. When I began to analyze his movement, it became clear that limited rotation was an issue. Let's look at his K-Vest numbers. While his backswing is shorter than the PGA Tour average (especially his upper body), the primary issue occurs on the down swing. Notice the -2° at impact. Safe to say that is nowhere near the spectrum of what we see from elite ball-strikers. It's also a precursor to his path issues. When the body stalls through impact the hands and arms dominate the swing. So was his inability to rotate related to a technical issue or a physical issue? As always, don't guess when you can assess. Our first TPI screen results indicated that the issue was primarily physical. He lacked stability in his lower body and was not able to disassociate his upper body and his lower body. These are not particularly uncommon limitations in amateur golfers. Thankfully, they're often not difficult to improve. We prescribed a workout consisting of exercises like Rolling Patterns, Bridges, Bird Dogs and Rainbow Pass. These moves prioritized stability and also re-trained the ability to connect and disassociate his upper/lower body. 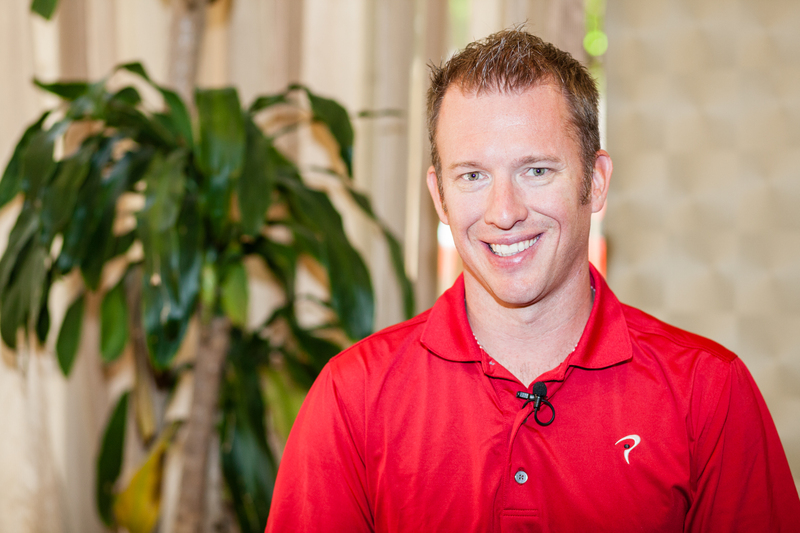 Gray Cook loves to talk about the difference between hardware and software. Many of us think we have a hardware problem ("my hips are tight") when we're really suffering from a software problem (e.g. poor pattern). My client was an example of this. We also recommended several golf drills that helped integrate his newfound physical capabilities into the pattern. Don't overlook the importance of these. Many clients are quick to buy the next bucket of balls, but de-emphasize drills which are even more cost/time effective. The "after" isn't perfect, but it's a marked improvement. By developing his stability, he was able to rotate more easily, as evidenced by the huge improvement in his K-Vest numbers below. My client's swing changed dramatically with this renewed focus on his body. By improving his physical capabilities, we were able to improve his movement as it relates to the golf swing. Increased lower body stability through simple exercise allows him to stay in posture and turn body to left more. The result? See the data below. His face to path numbers are getting more even which is eliminating hooks. Clients don't care how they get better. They just care that they get better. 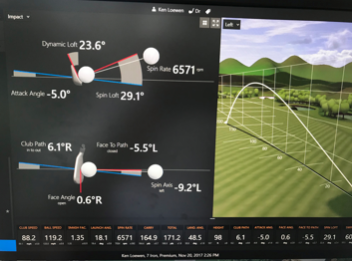 Hopefully, this case study showed how a golfer can make lasting improvement to their swing by addressing physical limitations. Ball flight was the symptom, but movement was his problem.